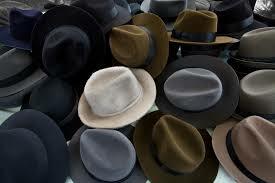 The “five hats” every HR leader needs to have – are you ready? The role of HR leader is rapidly evolving, and new skills will be required to remain competitive. Here’s how you can stay ahead of the game. The global recession has forced many organizations to do more with less, meaning HR leaders need to acquire more skills than ever to remain competitive. While future needs are impossible to ascertain, these are the “five hats” that experts suggest HR will wear in the future. Strategist – making business decisions and facilitating growth of the company. In order to become a better strategist, HR executives should develop creativity and become proficient in decision-making processes such as SWOT and NPV. Integrator – incorporating changes in the organization and helping to integrate new acquisitions and technologies. Useful skills include project management and understanding output deliverables. Influencer – as workforces are becoming more diverse, HR will be tasked with relationship building and creating a harmonious space for employees. Analyst – using data to reach business goals. In order to become an effective analyst, HR leaders should master spreadsheets, vlookups, pivot tables, charts, and statistical modelling. Risk manager – remaining up-to-date on regulations and providing insights on ethical and legal challenges. To fully master these five competencies, HR thought leader Peter Szilagyi recommends spending 10% of self-development efforts on reading and education, 20% on learning from mentors, and 70% on embedded learning through on-the-job experiences.